This was quite the busy week for the crew here at MMO ATK, and for the entire gaming industry in general. 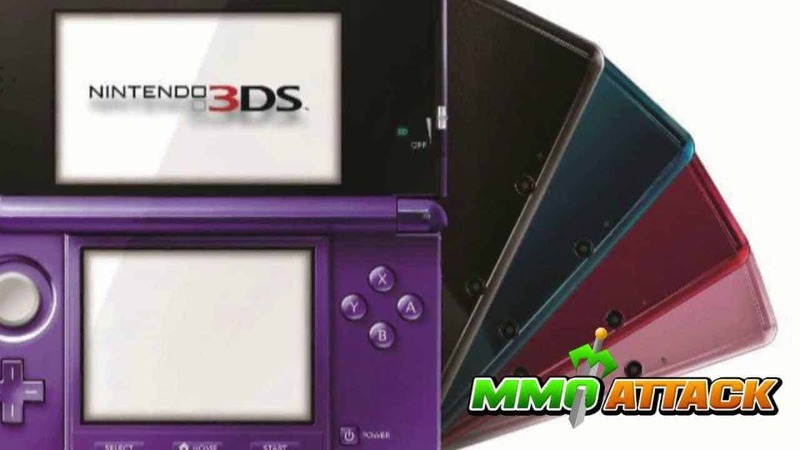 On the final day of April, Jess’ Daily Drop featured news from Nintendo about the new 3DS color. She also gave us a sneak peek at the upcoming StarCraft II expansion Warlock: Master of the Arcane and God of War: Ascension multiplayer info. We introduced a new series to you on Monday, well, not much of a series, more of delivering funny skits and comedic relief to your ‘Case of the Mondays’ Mondays. Our first attempt at humor was our version of Lag in Real Life (shown below). We know this has been done before, but we wanted to do our own take on it! On May Day we got some news about the reveal for Call of Duty: Black Ops 2. The Daily Drop featured this event to the dismay of Jess (p.s. she’s not that keen on Call of Duty) as well as some news on Mario Tennis Open and the already-announced Max Payne 3 DLC. Racquel posted about the Diablo 3 commercial that just made its way to TV on an episode of Family Guy over the weekend. I unfortunately missed that episode, but was able to watch the commercial in question on the old YouTube machine. Wednesday is my favorite day, and no, not just because I get to film and release another episode of CircleKirk, well .. actually, that’s exactly why! This week me and my two best buddies, Kirk and Kirk loosely discussed why we think people keep buying Call of Duty. The episode kind of got on a tangent, talking about Tiger Woods and silk underwear, but I think that seems to happen every week. Jess dropped some gaming knowledge on us by telling us about the micro-transactions in the Diablo III auction house, and how the super uber popular game, Draw Something, is steadily losing its fan-base. I personally got tired of that game much quicker than any of the Angry Birds games. The Elder Scrolls Online was announced on Thursday, and Jess was right there to give us all the details in her daily gaming news video. She also mentioned how EA’s Rock Band for iOS was getting disconnected, oh wait, i mean not disconnected. EA managed to mess things up again! We also got news on the 3rd about how Microsoft could be preparing a $99 Xbox 360. Oh, and some people said that they saw Jess wearing a banana costume on the Daily Drop? I must have missed that part, but see for yourself. And that brings us to today. If you were on the internet at all today you no doubt saw this phrase somewhere: ‘May the Fourth be with you’. It was so present across the web that I of course had to make a post on our forums. Jess’ daily video let us in on the fact that Harmonix is working on a new series and that Ubisoft has invested over $500 million into their latest Splinter Cell efforts. She also mentioned that EA could actually be taking customers’ opinions into account in regards to their Origin service. Well, that was a mouthful (that’s what she said), hope everyone had a great week and we look forward to seeing you all back on Monday with another awesome skit that we have planned! Your homework for the weekend is the subscribe to the MMO ATK Games YouTube channel and get ready for all the awesome content we have scheduled.